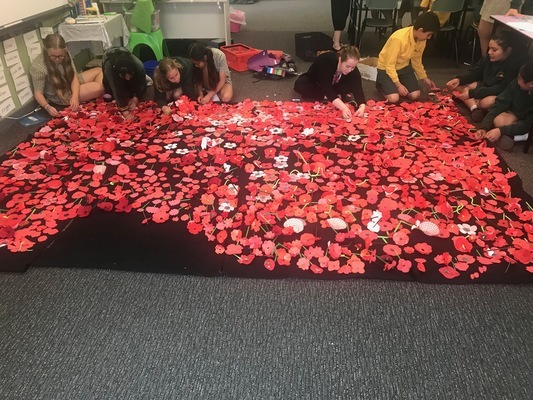 St Paul Apostle South Primary School students pin poppies to the tribute wall. 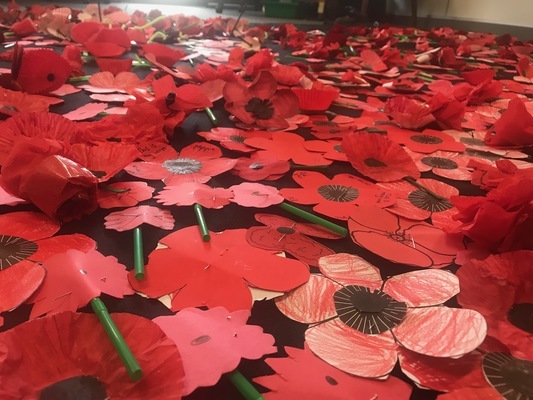 A spectacular wall of red poppies has been crafted by St Paul Apostle South Primary School in preparation for Remembrance Day. 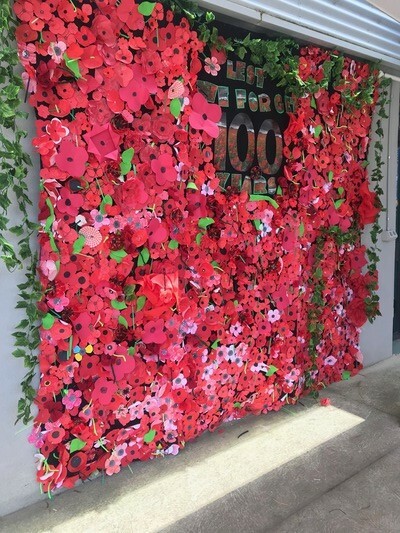 Staff and students hand-crafted poppies and pinned them to the wall as a special tribute to the 100th anniversary of the end of World War I. The school is set to hold a special assembly on 12 November, hosting Vietnam War veteran Bill Rogers and Korean War veteran Les Hughes. Poppies, wrist bands and badges were also sold to support the RSL.